Derby maintained their Championship promotion charge with a 3-2 win over in-form Huddersfield at the iPro Stadium. 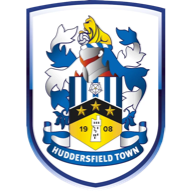 Jordan Ibe gave the hosts an early lead and although there was no goal for Rams striker Chris Martin on his 26th birthday, Huddersfield forward Harry Bunn celebrated signing a new contract earlier in the day with an equaliser for the Terriers. Strikes from Johnny Russell and substitute Simon Dawkins sealed all three points for Steve McClaren's men, following successive league losses, before Mark Hudson's stoppage-time header reduced the visitors' arrears. 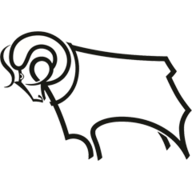 Derby made three changes following Saturday's defeat at Brentford. One was enforced with Craig Bryson nursing a back injury so Will Hughes was recalled in midfield. Elsewhere, Ryan Shotton replaced Jake Buxton at centre-half and on-loan Liverpool forward Ibe came in for Dawkins. Huddersfield were unchanged from the side that started the 3-0 win over Nottingham Forest. A bright start from Derby was almost rewarded after six minutes. Ibe's curling effort beat goalkeeper Alex Smithies but covering defender Joel Lynch managed to get his head on the ball and flick it over the crossbar. However, Ibe was not to be denied a minute later. Jeff Hendrick slipped by his man inside the box to get to the left-hand byline and Ibe barely had to break stride to meet his near-post cut back, as he guided a shot with his right instep into the far corner of the net. Huddersfield came into the game as the midway point of the first half approached. Nahki Wells flashed a warning shot across Derby's bow when he escaped down the right side of the penalty area and forced Jack Butland to tip away his shot across the face of goal. Shortly afterwards, the Terriers were level. Grant Holt and Wells combined to set up Bunn who was afforded time and space to control the ball 12 yards out and pick his spot with a low shot down to Butland's right.